The UK chart results are out and bring mixed news from a Nintendo perspective. While two big hits got a boost in sales courtesy of "renewed stock" - which likely relates to the Switch hardware getting some fresh units last week - a new 3DS arrival struggled. 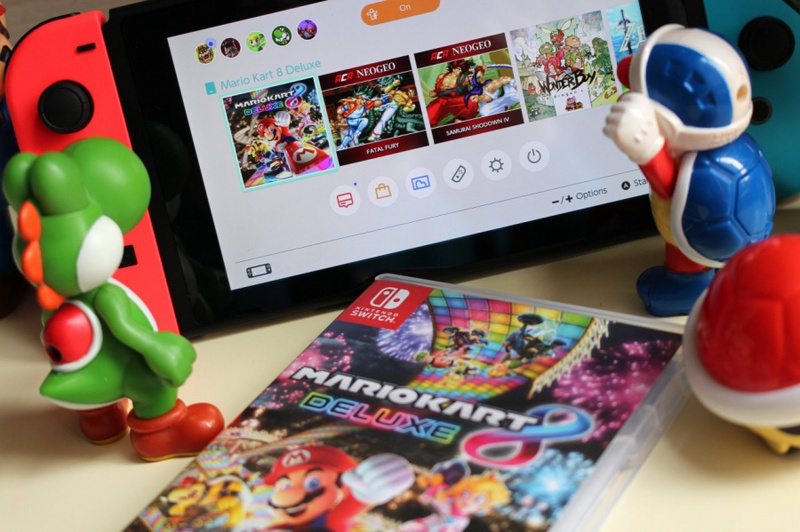 To start with the good news, increased availability saw Mario Kart 8 Deluxe climb 11 places to settled in 5th, while The Legend of Zelda: Breath of the Wild jumped ten spots to 12th position. After a debut week in second place ARMS secured 7th position this week, which we'd suggest is a decent second week for the new IP. Ever Oasis launched on 3DS, of course, but the Grezzo title struggled to make an impact. Its opening sales only secured 28th place; even accounting for eShop sales not being included that's a disappointing outcome. We loved it in our review, so hope it'll find a fanbase in the next few weeks. That's it for Nintendo titles in the UK top 40 this time around. If manufacturing was done right over here in the US, the sales would continue high for nintendo here too. Up until then, it's a waiting period for people that want the system, and a watch as more scalpers buy to sell them at expensive prices only. I still see many people on preorder lists that have been on there before launch, still waiting for their systems. I really think this is the Wii era all over again! I really hope the sales of Ever Oasis pick up and the game does well overall as it is a really great game and it'd be a shame to see it tank. Was waiting for the review of Ever Oasis before i committed, but to be fair i probably will not get it for a while as i got a back log of games. Shame about Ever Oasis, but as the 3DS is ancient now and the demand for the Switch is still insane, I think we can expect to see more of this going forward. Just annecdotally, a friend of mine hasn't played his 3DS much recently because the time he has for gaming has been poured into his shiny new Switch. Same story with me really, though I am still trying to check in on my villagers in New Leaf from time to time. Make sure they haven't burnt the town down in my absence, and the like. Clearly some UK gamer never understand to love something cute like Ever Oasis. I contributed on day one! But I suppose that wasn't enough. I agree with NL, ever oasis is a lovely game and probably one of the best I played on 3DS. I wanted to keep playing "5 minutes" last night... Next thing you know it was 1am and now I'm struggling to stay awake. 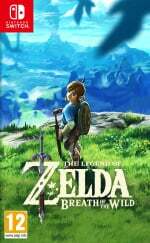 Awesome game, as soon as I'm done with it I'll have the hard mode on BotW. I've been waiting for a reason to play the game again. I had been looking forward to Ever Oasis, but I ended up cancelling my preorder last week - I just went full-time at my job, and between the backlog I have on my PS4 and all the good games coming out in the next few months for Switch, all my gaming time is already booked solid until well after Christmas. I will probably pick it up eventually, since it looks good, but not until well into the new year. Zelda: BOTW and MK8D rising back up the charts is impressive. But as I've said before it's a very quiet time of year so a new product with few games and 2 exceptional Wii U ports can do well. I got Ever Oasis from Nintendo UK before the reviews came in. I'm sure it released a week earlier than they had it listed when I first ordered it? I was worried as the first set of reviews that came in on other sites weren't amazing, but by that time my copy had already posted so I couldn't cancel it. Then NL's review comes in today and they give it a 9. I think I'll enjoy it from what I've read, but won't get around to it for a while yet. @Anti-Matter you are correct in that a game like Ever Oasis is always going to struggle in the UK. If it was exactly the same game, but the lead character was a criminal/gang member and it was set in 'da streets' with realistic looking graphics it would probably chart much higher. Throw in some football and it would likely hit number 1. So happy to see the definitive editions of BOTW and Mario Kart 8 getting the love the deserve! I haven't picked up Ever Oasis yet (not that it would count to UK sales) but it looks good so I'll definitely get around to it! And.... that's why i'm so sick with those trends. @SLIGEACH_EIRE Ιt's NOT a very quiet time of year and the 2 exceptional games are NOT just Wii U ports. Quit living on your little world of distorted reality for once!! Wii U ports what during this month ? Ever Oasis hasn't been marketed well enough to expect better performance. The NL review is posted today , after the product has been out for a while already. The screenshots and box art don't convey how the game plays. I've got a backlog and list of games to buy, Ever Oasis hasn't attempted to justify why I should care. i know that 10% discount on mynintendo will be dwarfed by discounts later. here in germany i've also seen the switch actually being in stock this week in retail stores for the first time since launch. The problem is a lot of people moved on from the 3DS. Fire Emblem Fates sold well considering the dying handheld, but Ever Oasis, isn't a franchise and the visuals won't appeal to everybody. Even Ultra Sun and Ultra Moon will have "low" sales. 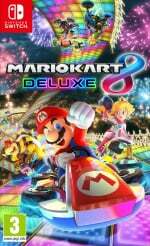 Mario Kart 8 Deluxe is actually number two in the individual formats Chart, followed by ARMS at three. 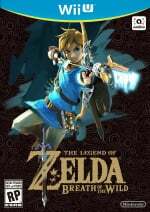 Breath of the Wild is also back in the Top 10 at nine. Pretty good! Interestingly, in terms of Value, which I assume means revenue generated, Nintendo hold the Top three positions, with ARMS at number one followed by MK8D and Zelda. Glad to see the two of the main Switch games doing well. The reasons would be a combination of the quality the titles offer, that they are amongst the best titles on the Switch and the overall appeal of the Switch itself. I always questioned if the portable nature of the Switch would be popular outside of Japan. Ever Oasis was always gonna be a niche title in my opinion. "Just annecdotally, a friend of mine hasn't played his 3DS much recently because the time he has for gaming has been poured into his shiny new Switch". It's in its case somewhere, waiting to be handed down to the kids when they're old enough. -Not from the UK but I can somewhat understand the reaction that Ever Oasis has gotten. I bought the game day one but I merely took it out of the shrinkwrap and placed in my game case, awaiting a day that I decide to play it. Currently I'm focused on the switch and I still haven't really played any other system since it came out. I will say this is where a tv out for the 3ds would come in handy. Not even taking into account the visuals of the switch, the resolution screen size and joycon comfort has really killed any interest in squinting at my 3ds XL for the moment. I know I'll go back eventually because I have a mountain of games to play (Plus Fire Emblem....trying to beat all of them before the Switch fire emblem comes out and ruins my life) but right now it feels like a chore. Even a 3ds TV would be a welcome jumpstart as my Vita TV turned my vita into a doorstop rather quickly. Oh well. I still hope that Ever Oasis does well, especially since Grezzo claims that they skipped switch due to the 3ds install base and the 3d output (which I can't even use lol). Granted I'm not clamoring for 3ds ports to switch as I view the system as a portable home console and I want games that take advantage of the system's graphics capabilities. If they did something similar to the graphical parity between the two fire emblem warriors versions then sure, but short of some amazing game I can't be without I wouldn't really jump at seeing a 3ds game with a quick texture uprez job. @Cosats I thought early June was a quiet time for game sales in uk and Zelda and Mario kart 8 are Wii u ports isn't it. Never gave my 3DSXL enough love, my top games on it are all retro-feel titles. Link Between Worlds, New Super Mario Bros 2, Starfox 64 3D, and a large amount of NES and gameboy emulators. Ever Oasis is not going to happen. For that Secret of Mana feel I play...Secret of Mana on my SNES. Shame about Ever Oasis, but glad to see ARMS hanging there. Go go ARMS! Ever Oasis was going to have a tough go of it from the beginning. RPGs on the 3DS have been plentiful. Think of the hours players still have to put into some of the latest titles. It seems that some thought should have went into putting EO on the Switch. Most people are slowing down on BotW. Arms is a fighting game so it wouldn't have competed. I just think it was a bad decision to go with the 3DS. I know that development had begun on the 3DS, and it is difficult to change in the middle, but in the end, it probably would have found a longer life on Switch. @fortius54 Yeah I would have bought it if it was on the Switch, I'm not really keen on buying 3DS games any more as the Switch has essentially replaced it in my daily usage. The only exception I'm planning to make is for Samus Returns although even that I would have preferred on the Switch. I won't be getting ever oasis because it doesn't appeal to me. I haven't seen commercials to make me want that game. It's not a popular genre and the 3ds has so many rpgs already. It seems like all we get is rpgs and platformers so being clear on how it is different is very important. I like the genres but any regular person that glances at the games won't be intrigued enough to bother with it. It practically has to do a loooot of explaining with the cover and the title. @Anti-Matter We're busy and poor because we bought ARMS last week. Please understand. It's a new ip on a old handheld with hardly any advertisement, so it isn't a surprise. Nice to see the Switch still doing well. Picked up two copies of Ever Oasis; one for myself & the other for the younger brother. Only managed as couple of hours so far due to work & college but it's been utterly delightful. So many games to play. I did pick up Ever Oasis but I haven't started it yet. I haven't even started Fire Emblem Echoes yet. Breath of the Wild and now ARMS have taken up my gaming time. My 3DS really isn't getting any love from me lately. Mario Kart 8 Deluxe and Zelda Breath of the Wild sales jumped 45% and 68% respectively after an increase in Switch stock. These two games are pretty much selling like bundled games. Increase in Switch stock => Increase in Switch sales => Increase in MK8D and Zelda BOTW sales. Ever Oasis performed pretty poorly, but that was to be expected. It's a shame Ever Oasis is doing poorly in sales. It's not a real surprise due to the lack of marketing on Nintendo's part. It'll definitely end up on some "top 10 underrated 3ds games" list down the line. Horizon Zero Dawn doesn't agree. @Anti-Matter "I don't mean to attack someone but..."
Proceeds to attack people for not liking the same things as he does. @GravyThief Depends which football it is. If it's the NFL, the U.K. wouldn't buy such a game. But if it's the other football that involves FIFA, you can be sure that one would sell.